Not Only has jail taken away his freedom but its also has taken away his money he would’ve made this weekend in LA for BET Weekend. Ross had a big weekend this weekend set up for himself. According to legit sources, The rapper is losing out on a fortune of money. That included $130,000 in party/club appearances, $30,000 he had set up for a private jet from ATL to LAX, & $60,000 on a mansion rental. Totaling all cost at $220,000! My goodness talking about losing a lot of money and living lavish! 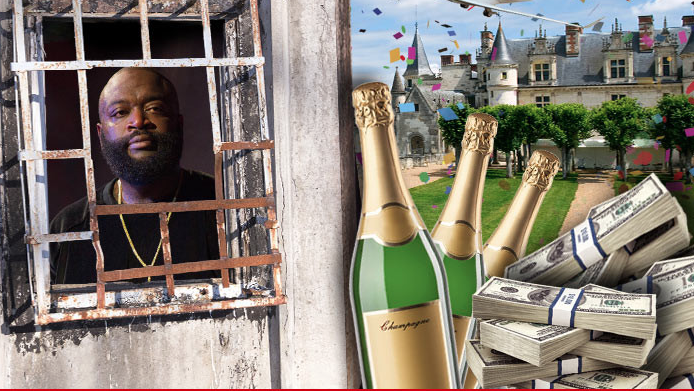 Rick Ross is to remain incarcerated until his next court date July 1, 2015 in which we wish him the very best! This is very unfair treatment!